Grows mostly in slow-moving fresh waters, but occasionally found in brackish waters. Often found in areas rich in nutrients and calcium. Found in the upper Chesapeake Bay and freshwater streams and rivers throughout the Bay watershed. 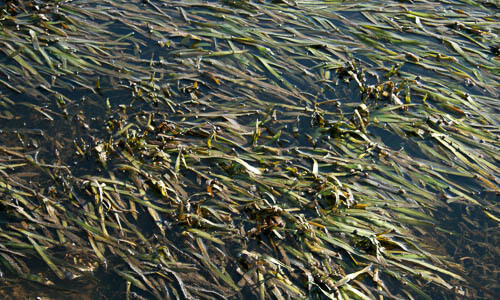 Common waterweed is a bay grass that grows in slow-moving fresh waters throughout the Chesapeake Bay watershed. The common waterweed has slender, branching stems and tiny, narrow leaves that are straight or oval-shaped and grow in whorls of three along each stem. Whorls become more crowded toward the tip of the stems. Leaves have extremely tiny teeth that may only be visible under magnification. From July through September, tiny flowers grow on long stalks from a tubular structure at the leaf axil. Common waterweed has a weak, thread-like root system. 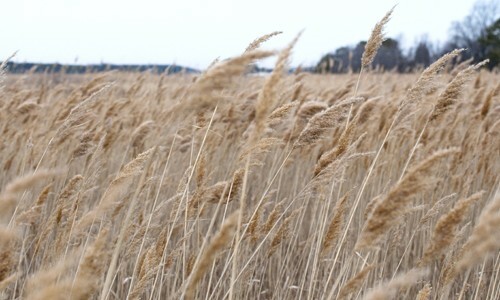 Migratory waterfowl, especially ducks, feed on the common waterweed, as do muskrats and beavers. 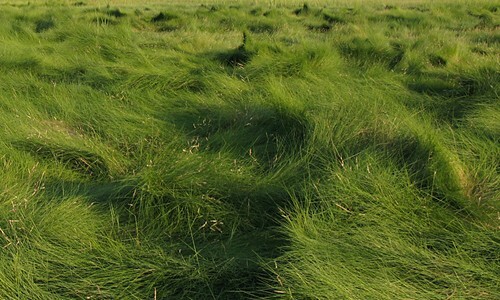 This grass usually reproduces asexually when stem fragments bud and grow into new plants. It rarely reproduces sexually because male plants are very uncommon. When sexual reproduction occurs, the plants produce cylindrical capsules that contain several seeds. Common waterweed is also known as Canadian waterweed. It provides habitat for fish, amphibians and aquatic invertebrates. Common waterweed can be confused with hydrilla. You can distinguish common waterweed by its leaves, which grow in whorls of three and do not have visible teeth.